Job applicant of the Corporate World should know how to use the Microsoft Excel.Over the years, Microsoft has launched Excel 2010, Excel 2013 and Excel 2016. The method of working for the oldest to most recent version is almost the same.There are a few features that have been added in the newer versions. Microsoft Excel has three levels of Microsoft Excel. They are named basic, intermediate and advanced levels. The basic or beginner is the minimum the candidate should know. This is about the workbook and shortcut keys of Microsoft Excel. The basic topics include Format Cells, Workbooks Find and Select, Data Validation and Keyboard Shortcuts. Others are general commands like print, formatting cells and layout. Usually, these tests are for Sales Analyst, Financial Analyst, MIS Analyst and Business Analyst. The intermediate level is both basic and advanced levels. The advanced topics include Worksheet and Charts, Operators, Functions, Formulas, Tool Bars and Shortcut Keywords. Others are pivot table, macro creation, filtering. Everyone should familiarize with the all the levels of Excel. One cannot predict the questions that would be asked during the interview. Those who have highlighted Microsoft Excel in their resume should totally prepare themselves.The online websites teach and prepare for all kinds of excel skills test. Anyone can self-study in one’s own space. Learning the theory does not help in retaining the knowledge.Hence, it is better to practice questions and answers. The more one spends time, the faster one gets on the actual day of the test. Also, one should spend quality time to answer the questions for gaining experience. While studying, one would come across sites where answers have been explained. Many of the questions or similar ones found online are used by Companies. There are various sites both free of cost and paid. These encourage Companies to make questions for candidates. 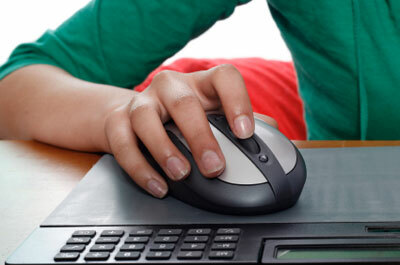 These online test sites can be accessed by from office or home at any point of time. Once the candidates get their instructions and details of the website, they can take the test. The Company usually specifies if they should take the test at their place.Generally, the questions and answers are objective type.The excel skill assessment test of 2016, had 15 Application questions and 5 Theory questions. The total duration of the test was 20 minutes. This test helped the recruiters and hiring managers to determine Excel skill of candidates. This candidate would contribute most from day one. Know-how of Microsoft Excel is essential especially amongst people who handle data management skills. Usually, these people are into finance and accountancy. Assessing of a candidate is not always test based. Silicon Valley experts ask candidates about courses taken, certifications, and online training. They discuss the candidate’s weakness in Excel. They assess the candidate by asking questions on functions of Advance Level and more. Most important of all – Is the candidate willing to learn? Does the candidate have the ability to learn? In the modern era, no one can do without Microsoft Excel. Hence, it is advisable for all to learn, test and assess one self. What Is The Best Way Of Getting Data Analytics Training?